Allied codebreaking by British Military Intelligence during Project ULTRA was an arduous effort. The casual reader of World War II history will come across the assertion that the Allies in Europe were reading the German codes. This secret, which the Allies guarded most assiduously, was called ULTRA. Although the codebreaking—kept secret until the 1970s—is now reported routinely in histories of World War II, the reader would make a mistake assuming that the reading of codes was universal, or that it was somehow easy. Neither is true. 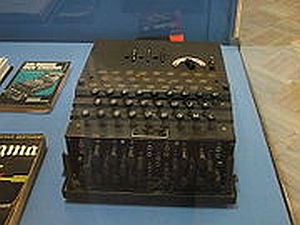 Different branches of the German armed services used variations of the Enigma machine, and although the British could decrypt some of the radio messages from them early in the war, they could not decipher all of them. During the war, the Germans improved the Enigmas by adding a fourth wheel or changing encryption methods that had weakened the system’s security. In addition, the German Army used a non-Enigma enciphering system based on Teletype machinery. This was used for high-level command communications and became operational after the Enigmas. As to the notion that the codebreaking was easy or merely followed on a single flash of brilliance early in the war, both are false. The codebreaking of the Allies was the result of applied brainpower, then applied machinery and man- (and women-) power, as well as sheer luck that was akin to the tremendous industrial effort of the United States during wartime production. The work was a huge project consuming massive resources, mechanical as well as mental. It was so massive, in fact, that the Germans believed it could not be done, and that their codes were safe from decryption analysis. This is why they never quite caught on to the fact that their radio transmissions were in part being read by their enemies. The Germans were almost right in believing their enemies could not read their transmissions. The Allies made the effort in time, brains and machinery, even inventing mechanical and then radio-tube machines called Colossi to run through thousands of coding permutations until one showed up that produced German language text. When the Americans were drawn into the war, they applied the same sort of mobilizing effort to crack the Japanese codes, some of which they were already reading. Enigma-like machines were developed in the 1920s, for the coding of industrial secrets. They scrambled plain-text letters to resemble gibberish. As the Arabs understood more than a thousand years ago, when words are encoded a “ghost” of the language remains. This is because certain words (for example, “and” or “go”) occur with statistical frequency, as do certain letters (in English “e” is the most frequent and “z” one of the least). Thus, codes can be attacked using statistics and an understanding of the language. Enigma machines’ ingenuity lay in their ability to give any one letter millions of possible substitutions so that codebreakers could not use normal statistical analysis to discover the underlying message. Nevertheless, during the 1930s, Polish mathematicians, principally Marian Rejewski, applying steady work as well as brilliant insight into the mechanics of the Enigma machine, discovered ways of discerning the internal wirings of the machine wheels, how the wheels were set in a day’s transmissions and more. They developed mathematical shortcuts through the millions of letter possibilities, shortening these into the thousands. They manufactured machines that would grind through these possibilities until German words arose from the gibberish. Once drawn into the war, the British and Americans greatly expanded on the breakthroughs of the 1930s until thousands of men and women were working on myriad messages a day. Their successes were inconsistent but also invaluable. The resources devoted to the efforts were obviously very well placed. Note: I erred in the June 2004 Editorial writing that the Dieppe, France, raid took place in August 1943 rather than August 1942. I regret the error. Tags Allies, Codebreaking, Decryption, Enigma code, Europe, German, ULTRA, United States.